Highlights: Kovalam Beach, Horse Palace, Padmanabhaswami Temple, Suchindram Temple, Kanyakumari Beach, Padmanabhapuram Wooden Palaces, Kanyakumari & Triveni Sangam (Confluence 3 Oceans), Trekking, Bamboo Rafting, Tea & Spices Plantations, Waterfalls, Tribal Village visit, Mattupetty Dam, Kundala Lake, Pothamedu, Top Station, Echo Point, Devikulam, Chithirapuram, Pallivasal Hydel Power Project, Attukal, Nyayamakad, Rajamalai (Part of Eravikulam National Park), Tea Museum, Sandalwood forest Marayur, Blossom Park, Lakkom Water Falls, Chinnar Wildlife Sanctuary,Houseboat Cruise, Wild life Sanctuaries, Indo Portuguese museum, Chinese fishing nets, Dutch Cemetery, Mattancherry palace, St. Francis Church, Santa Cruz Basilica, Jewish Synagogue, Kathakali. Pickup from Thiruvananthapuram Airport/R.Station and transfer to hotel in Kovalam beach (25 minutes drive), one of the best beaches in India. Enjoy the beautiful Crescent shaped beaches (Eve’s, Groove’s & Light House). There are three such beaches and a massive rocky promontory on the beach, has created a beautiful bay of calm waters ideal for Swimming, Snorkeling & Surfing…. The shore is lined with plenty of restaurants offering all kinds of sea food available locally. Rock in the shallow waters of Crescent Beaches, and in the evenings have seafood dinners by choosing the fish of your taste. Attractions there are Horse palace, Padmanabhapuram Temple, Museum & Zoo, Art gallery, Chalai Market and much more. Back to Kovalam & enjoy the beach in the afternoon & evening dinner. After breakfast travel to visit Padmanabhapuram wooden palace, Ancient Suchindram temple, Devi Kanyakumari Temple, Vivekananda rock, Gandhidham and Triveni Sangam (confluence of 3 oceans–Indian Ocean, Bay of Bengal & Arabian Sea). The city is at the southernmost tip of India is especially popular for its spectacular and unique sunrise and sunset, thanks to its being nearly surrounded by ocean waters. On a pleasant, full-moon evenings, one can see the moon-rise and sunset at the same time. The nature of the sand on the beaches of Kanyakumari also unique as it is multicolored. Return to Kovalam after sunset. Today after an early breakfast you drive to Alappuzha (160 K.ms from Kovalam, 3 ½ hours’ drive) for an enchanting backwater cruise & overnight stay in a traditionally decorated houseboat with modern facilities. Cruise offers an inspiring and interesting experience. Enjoy the sights of vast stretches of paddy fields, coconut lagoons and pied King Fishers hurtling down to catch the fish. You would also come across small islands, locals engaged in fishing activities on country boats, children being ferried to schools, the majestic rice barges, gliding over the canals. Another interesting sight is that of large flocks of ducks being shepherded to newly-harvested paddy fields. Enjoy your precious times totally away from the hustle & bustle of outside world. After traditional Kerala breakfast, disembark from the boat & have a scenic drive to Periyar Wildlife Park through quite villages, Tall Rubber plantations, Trimmed tea plantations and misty mountains. Check in to the hotel on reachin Thekkady. Get refreshed, relax & go for local sightseeing in the afternoon. 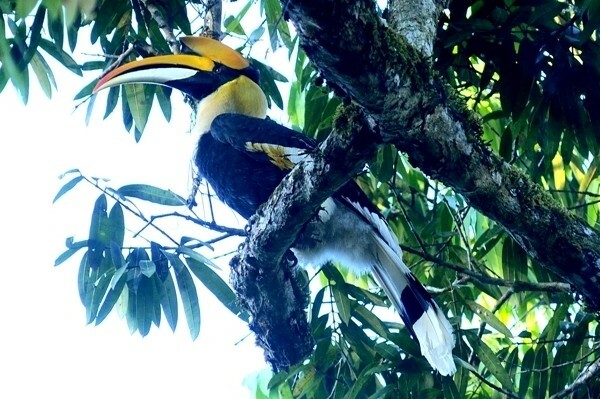 Periyar: Thekkady is a dream destination which spread over an area of 777 Sq.Kms, surrounded by an artificial lake over an area of 25 Sq.Kms Thekkady. 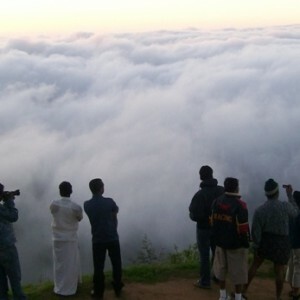 Thekkady is a pleasant heaven on earth for those who love nature in its wild manifestations. A dawn to dusk range hiking and rafting programme through some of the richest forest tracts of Periyar Tiger Reserve. Starts at 8 am. Keep your eyes and ears open to take in some of the beautiful visuals and captivating sounds. Butterflies with fascinating wing patterns, flowers with dazzling hues, wild animals like elephants, bison, gaur, sambar… all are here by the banks to welcome you. Rafting team will be accompanied by an armed guard & 4 guides. Evening back to the hotel & relax. After a leisurely breakfast drive to the majestic hill station MUNNAR, was once the summer resort of the British government in South India. Check in to hotel & stay 2 nights. Eravikulam National Park, Anamudi Peak, Mattupetty Dam, Tea Plantations, Eco point, Chinnakanal waterfalls, Anayirangal Dam, Top Station, Tea Museum are some of the attractions here. Today you drive to the majestic waterfalls of Kerala by enjoying the wayside attractions such as small waterfalls, hairpin curves, misty mountains. On reaching check in to your pre-booked hotel. 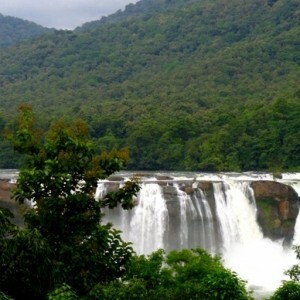 Depends on the location you are staying either drive or walk towards the Majestic Athirappally Falls of Kerala. Athiraally Waterfalls: The Chalakudy River bursting forth from the jungles of Sholayar, comes crashing down, plummeting 80 feet to form the dramatic Athirappilly Falls – the waterfalls as spirited and noisy as the forests are dark and silent. The cool spray that covers a large area near the falls makes this area a scenic location. Many eminent film directors used this location for their movies. Overnight stay at Athirappilly. Today if you like to see the Kodanad Elephant training centre, which is close to Athirappally waterfalls, have an early breakfast and check out from the hotel. After visiting the Elephant training centre drive towards Kochi “the Queen of Arabian Sea” check-in to the hotel at Fort Kochi which is also known as “Old Kochi”. Kodanad Elephant Training Center: Kodanad, set on the Southern banks of the Periyar River amid the beautiful high ranges north of Kochi, is one of the largest elephant training centres in Kerala. The famous Malayatoor Church is near Kodanad. 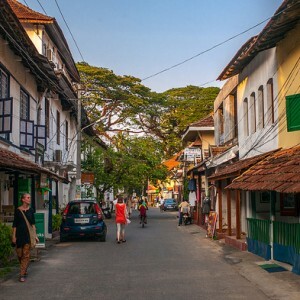 Fort Kochi: An obscure fishing village that became the first European township in India. The town was shaped by the Portuguese, the Dutch and later the British. The results of these cultural influences are seen in the many examples of Indo European architecture that still exist here.A leisurely stroll through its streets is one of the best ways to discover all that this city has to offer. A boat ride across the breathtaking blue lagoons and backwaters offers a glimpse of Kochi’s rural life and its inherent beauty. After breakfast proceed to airport/Train Station (Thiruvananthapuram–5 hours & Kochi–1 hour) to get back home with the joyful memories from God’s Own Country.